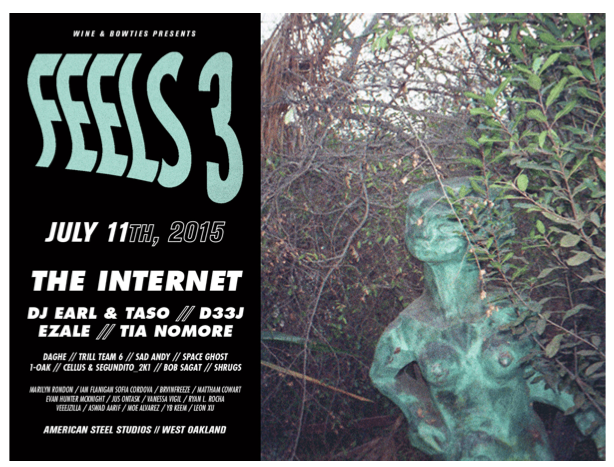 FEELS III marks the third installment of Wine & Bowties’ annual art and culture festival. 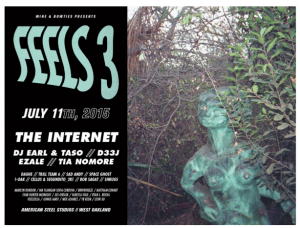 Curating an eclectic assortment of visual artists and musicians, FEELS III will function as an immersive experience aimed to bring together thriving art and culture scene of the Bay Area inside American Steel Studios. With over 800 people in attendance for the last event, FEELS III will serve as an optimal opportunity to communicate with an engaged audience of influential artists and creatives. This entry was posted in Uncategorized by Jr Arimboanga. Bookmark the permalink.